Algae, shells and other organism attach themselves to the hyll of the boat. 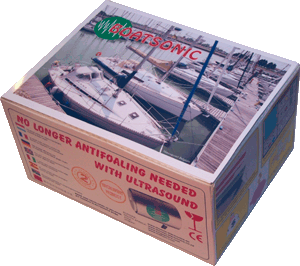 The consequence is larger fuelcomsumption.The usual controlmethod is the application of a coating (antifouling). Except of the negative impact on the environment of this toxic product this comes with a yearly recurrent cost. 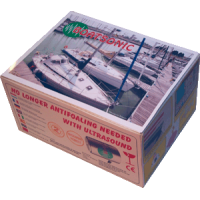 The BOATSONIC see that no more organism can attach to the body of the boat. 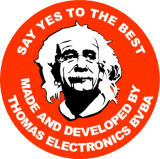 The installation is very simple with the kit included. The transducer(s) are secured to the innerside of the hyll of the boat beneath the waterline. Once installed you need no maintenance anymore, hereby regaining your purchase cost multiple times.